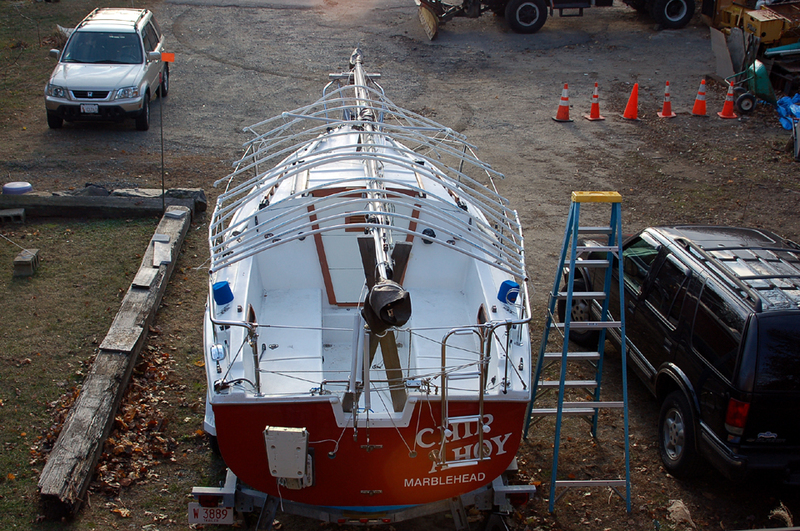 I covered the furler, the mast's anchor light at the bow end, and its deck light at the spreaders with remnants of tarps and bungie cords. 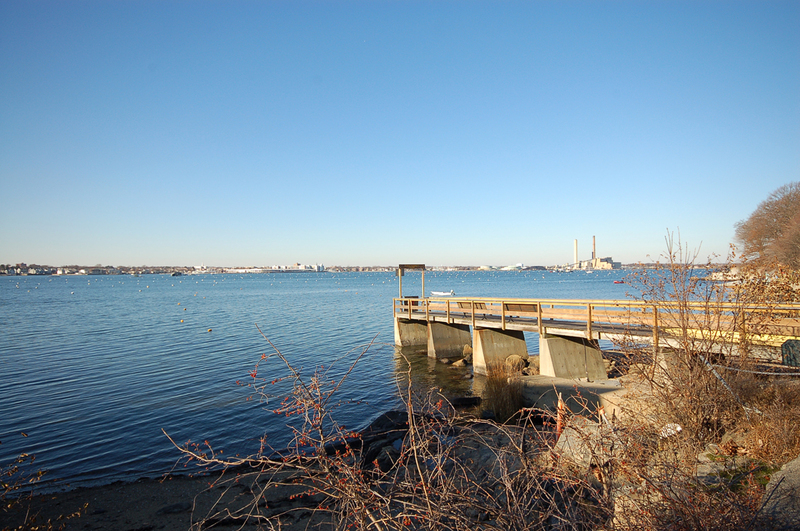 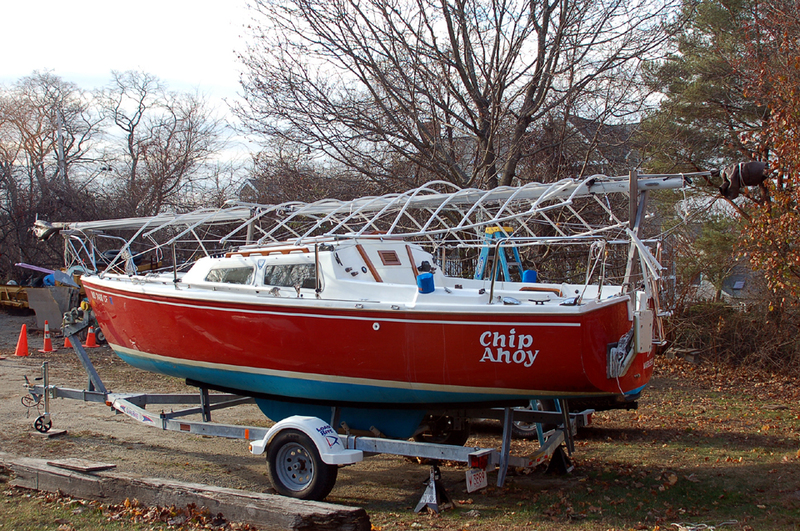 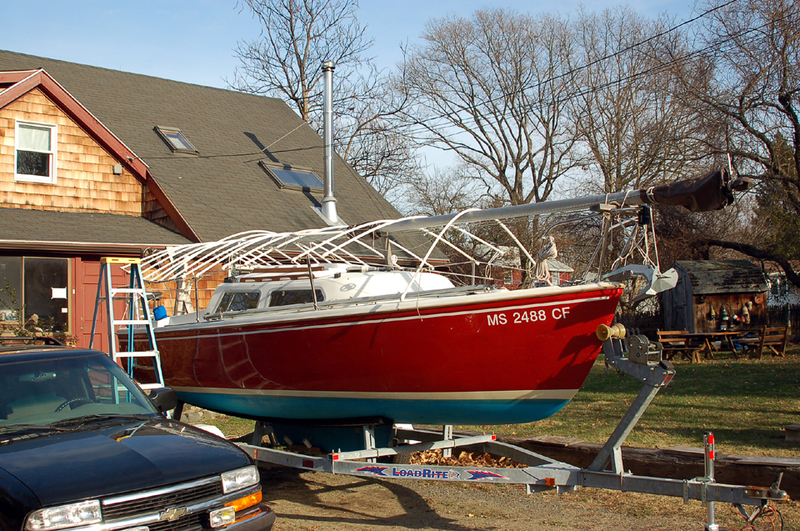 The boatyard laid the mast bass-ackward and upside down this time after unstepping it, so I wanted to insure everything was water/ice-proof. 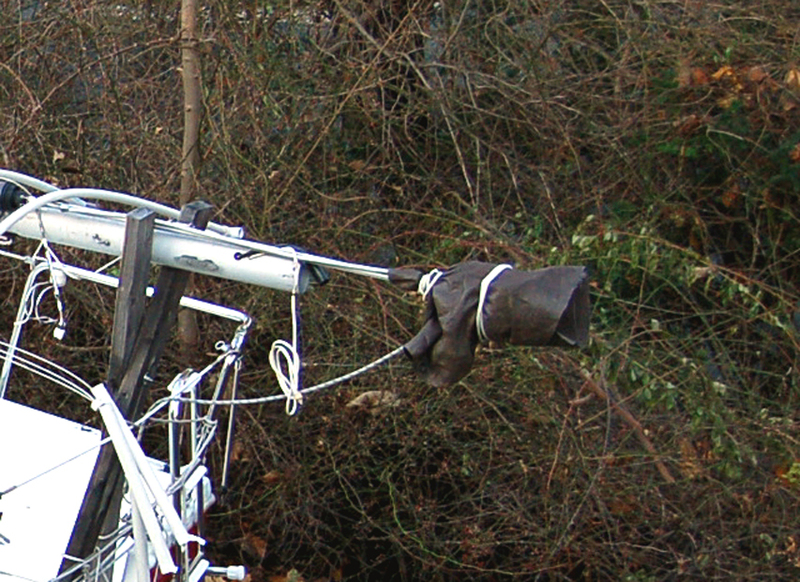 Next came the PVC pipe skeleton frame. 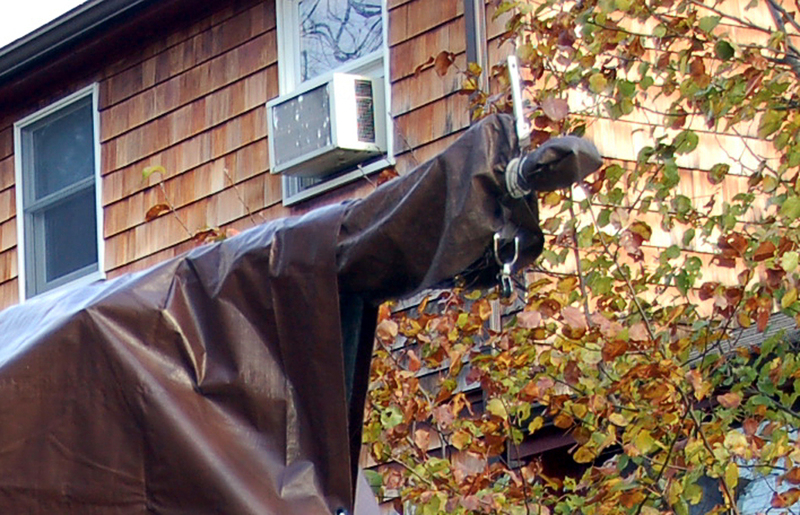 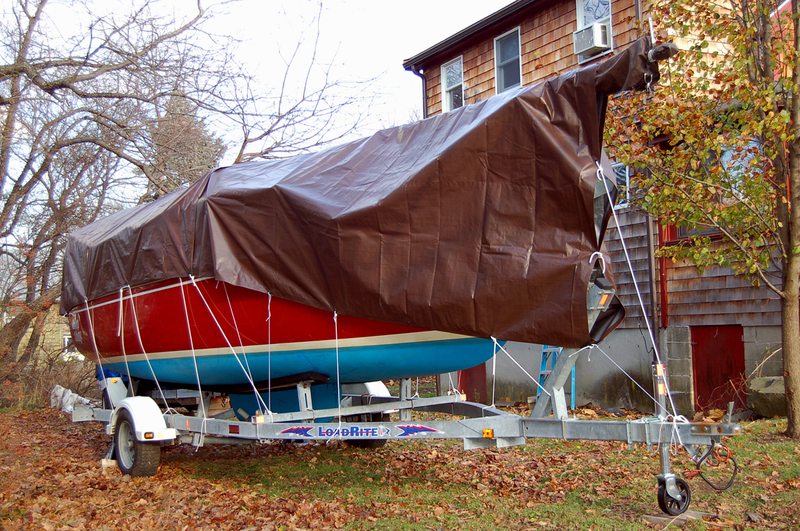 New tarp number one held impressively through the easterly blow, though the house blocked the worst of the wind. 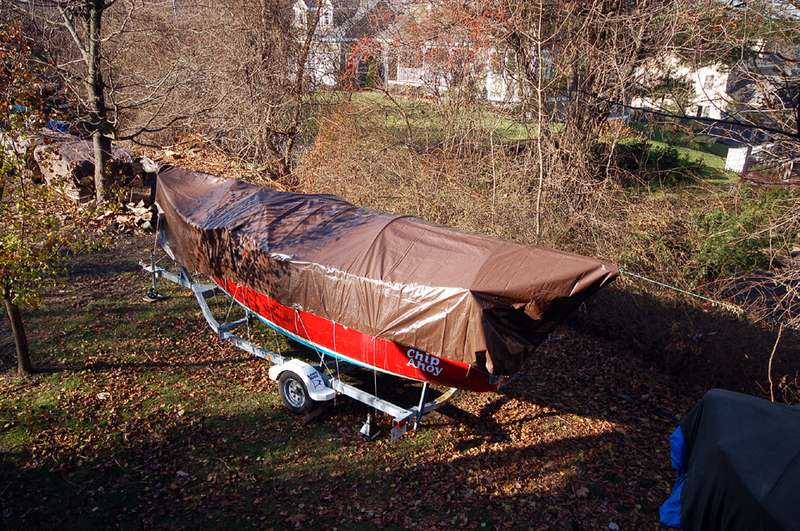 Today I completed the job with new tarp number two. 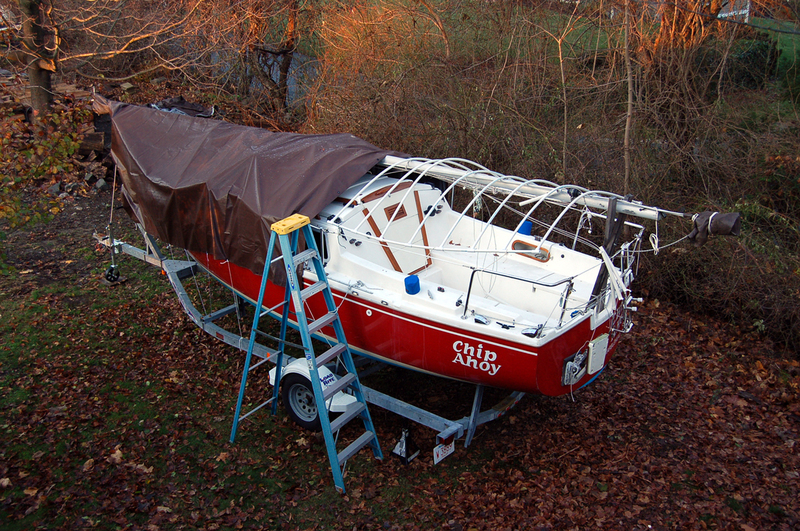 Before covering with the tarps, I separately covered the protruding roller furler drum and mast anchor light (and the deck/steaming light) individually with remnants from old tarps, using bungie cords to secure them. 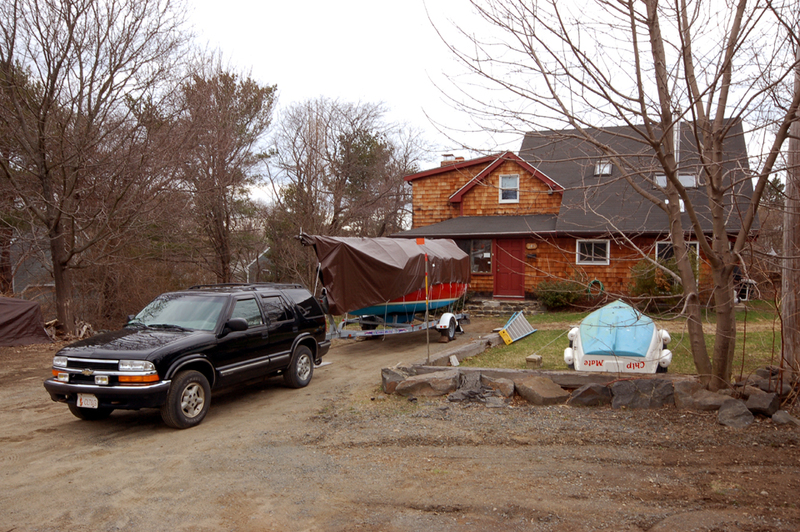 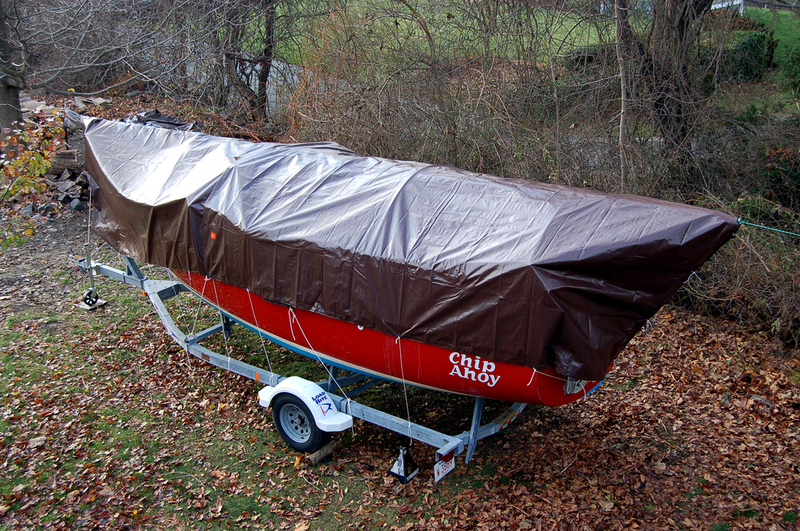 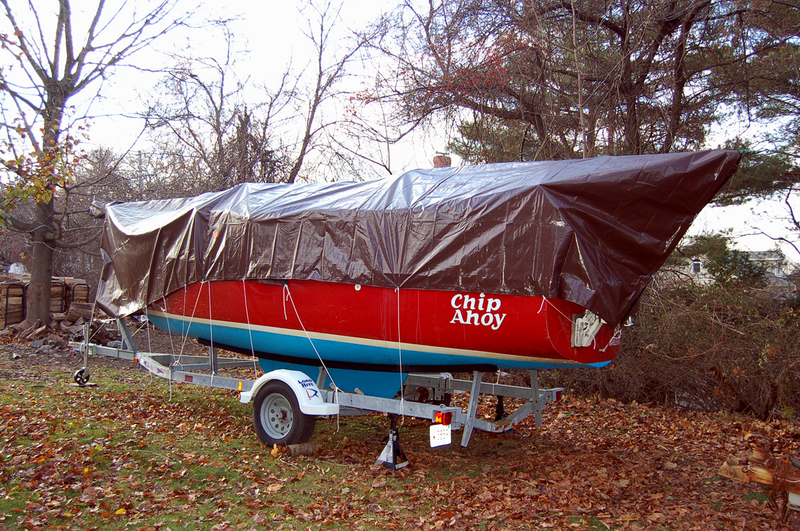 The new tarps are shorter than what I've used in the past, leaving some of the hull and the trailer uncovered, which shouldn't be any problem. 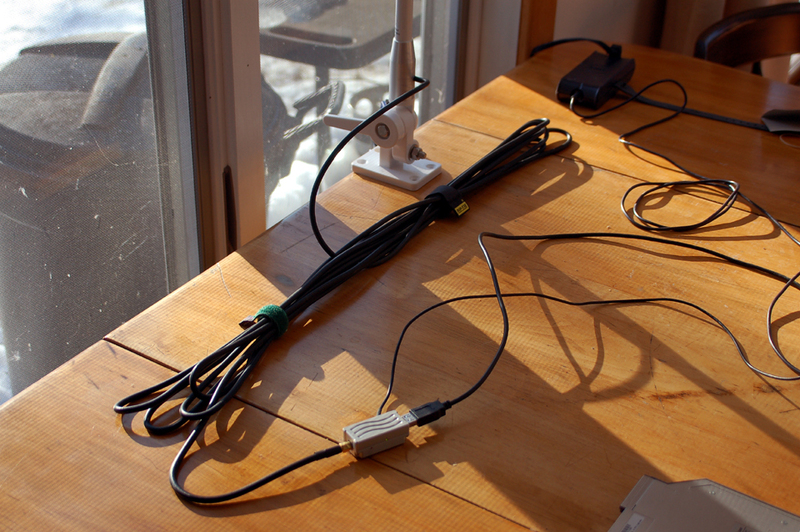 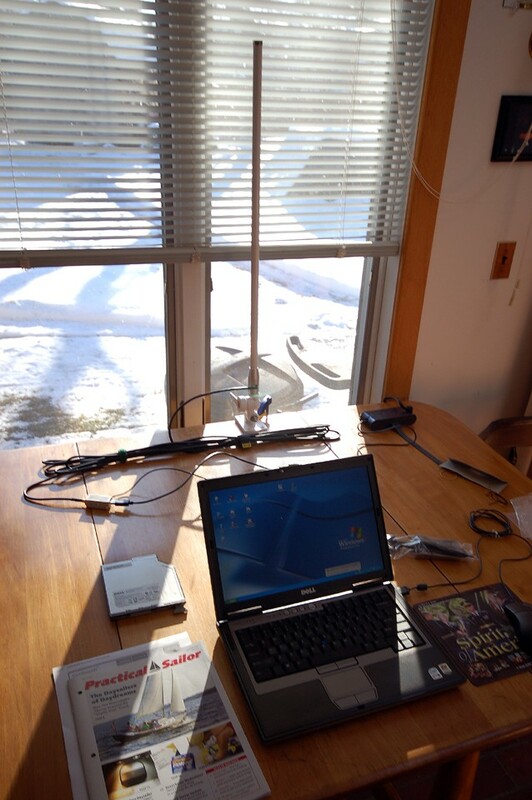 The 5MileWiFi antenna with it's 25 feet of coax cable, temporarily clamped to the kitchen table, its signal booster's power and signal cables plugged into two of the the laptop's four USB ports. 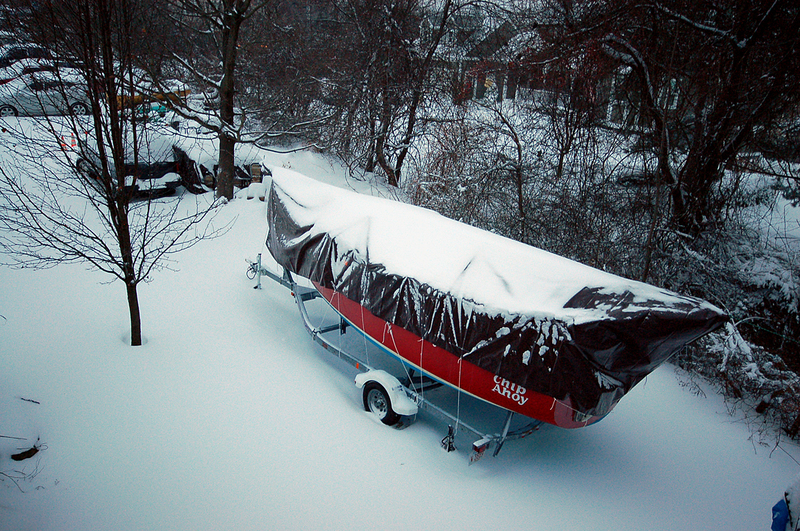 It's never-ending ... but Sailing Season '08 has ended!